Last Thursday, the High Court delivered its first decision on the good character criterion for consents under the Overseas Investment Act 2005 (“Act”) in Chief Executive of Land Information New Zealand v Agria (Singapore) Pte Limited  NZHC 514. The Agria case involved a claim by the Regulator under the Act for civil pecuniary penalties under section 48 arising from breaches of the good character consent condition. It is the first case to consider a breach of conditions, and is only the third decision on civil penalties since the Act commenced. Agria is a majority owned-subsidiary of a Hong Kong-owned company which was until 2016 publicly listed in the US. Agria is a shareholder in PGG Wrightson Limited (PGW), a company which owns sensitive land for the purposes of Act. Its shares in PGW are owned pursuant to consents under the Act issued in 2009 and 2011, both of which contain the standard condition requiring the company and any person with control of the company to continue to be of good character. In 2016, the United States Securities and Exchange Commission commenced an investigation into Agria’s parent company and Chairman. The investigation concerned allegations that the parent company had not complied with its financial reporting obligations at the time of its IPO in the United States and subsequently. It also investigated certain share transactions which were alleged to have breached the Securities Exchange Act 1934. The SEC entered into settlements with Agria’s parent company and Chairman in December 2018. The settlements were made without any admission of liability, and included settlement payments totalling US$3.4 million, amongst other penalties. Agria reported the SEC investigations and subsequent settlements to the OIO, and entered into a settlement agreement with the OIO shortly after the SEC settlements were concluded. Under the terms of the OIO settlement, Agria and its Chairman each admitted that by entering into the settlements with the SEC, they had breached the “good character” condition of the consents. The parties agreed that the OIO would then make an application to the High Court for the imposition of civil penalties under section 48 of the Act and that Agria would admit liability in that proceeding. The OIO agreed not to exercise any of the more onerous enforcement actions available to it under the Act, which include the power to apply for orders for the compulsory disposal of property under section 47. 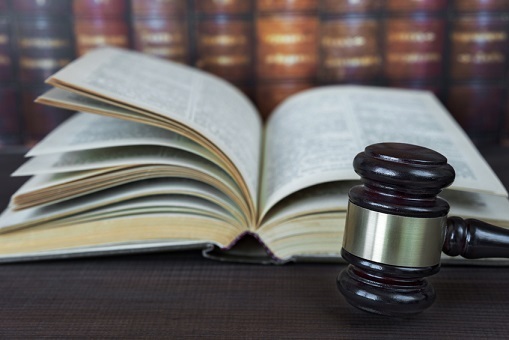 Following two previous decisions under the Act, the Court adopted the same approach to assessing liability for civil penalties as applies under the Commerce Act 1986. That approach limits the role of the Court in cases where there has been a prior settlement with the regulator. Provided the Court accepts that the agreed penalty falls within the proper range, it will impose that penalty and will not substitute its own assessment. As part of this process the Court is required to assess a range of factors including: the nature and extend of the breach; whether the breach resulted in any loss or damage; any financial gain arising from the breach; and whether the breach was intentional, inadvertent or negligent. The specific circumstances of the defendant must also be considered. One of the fundamental principles of the Act is the requirement that all applicants for consent must be of “good character”. This requirement is consistent with the purpose under section 3 of the Act which makes clear that it is a “privilege” for an overseas person to own or control sensitive New Zealand assets. Every applicant for consent to acquire sensitive land or business assets under the Act must therefore demonstrate his or her good character to the satisfaction of the responsible Ministers or the Overseas Investment Office (“OIO”) acting pursuant to a delegation. Section 16(1)(e)(i) of the Act makes clear that this obligation extends both to the applicant and to any individuals with control of the applicant where the applicant is a corporate entity. Moreover, every consent granted under the Act is subject to a condition that the consent-holder and any individual with control of the consent-holder must continue to be of good character while they own the sensitive land or business asset subject to the consent. The Act does not define “good character”. Rather, section 19 provides that, for the purposes of considering whether an applicant is of good character the responsible Ministers, and by extension the OIO, must take account of any offences or contraventions of the law by the applicant or any person with control of the applicant and “any other matter that reflects adversely on the person’s fitness to have the particular overseas investment”. The Act therefore confers a very broad discretion to determine what is or may be relevant for the purposes of good character. It also confers a broad discretion to determine whether an applicant’s character is good enough to satisfy the statutory requirement. The applicant’s track record in New Zealand. Analogous immigration cases have likewise held that responsible Ministers are entitled to adopt high standards of good character. The Court accepted that the settlement between the parties fell within the appropriate range and imposed the agreed civil pecuniary penalties., In doing so, the Court took account of Agria’s early admission of liability, its cooperation with the Regulator and that this was a first offence. The Court did not attempt to define the good character criterion or limit Ministerial discretion any more closely than this. This was perhaps inevitable having regard to the nature of the proceeding. Agria did not deny breaching the good character condition, so the Court was not required to make a determination as to whether its conduct in fact amounted to a breach. If liability had been denied, the Regulator may have been placed in the difficult position of having to prove that the allegations addressed in the SEC settlements were true, bearing in mind that those settlements were made without any admission of liability. Nevertheless, the decision reinforces the wide scope of the Regulator’s discretion to determine whether an applicant satisfies the good character test. The finding that the Regulator is entitled to adopt a high standard may not mean it is required to do so in every case. However, that same finding will also probably make it difficult to challenge any decision to refuse consent on character grounds. Provided the Regulator takes account of the factors in section 19(1)(a) of the Act and does not fail to consider any other mandatory relevant consideration, and the decision is otherwise reasonable, the courts are unlikely to intervene in the regulator’s assessment of character. Chief Executive of Land Information New Zealand v Carbon Conscious New Zealand Ltd  NZHC 558 and Chief Executive of Land Information New Zealand v Tang [ NZHC 382.